Where Do Our Teachers Find Inspiration? As a principal and former teacher, I often get asked where inspiration comes from when setting up a classroom. Over the summer we saw several teachers come in on their spare time to move furniture, purchase materials and set up their classroom. Every teacher has a different approach to creating the perfect Montessori environment, however they all share common elements. Classrooms around the world have child-sized shelving, large windows and teachers have found a balance between nature and education. Many of Kendalwood’s teachers visit neighbouring schools to collaborate with other educators in an effort to create a welcoming space. Below, are some of my favourite Montessori classrooms (other than Kendalwood’s of course) from around the world. The Toddler Community is designed for children ages 18 months to 2.5 years. This setting provides a place where children are allowed to explore their own movements and culture by being active participants in those activities that mirror what the child sees in the world around him/her. The Toddler Classroom is meticulously prepared to provide a home-like, loving environment where children’s abilities and needs are respected and met. “Help me to help myself” is the mantra of children at this stage of development. 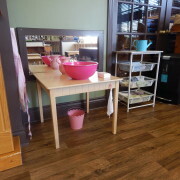 Toddler children enrolled at Kendalwood will find that it is an extension of their home environment. The comfortability of their environment provides consistency, familiarity and order during a time of great transition and development. Here at Kendalwood we have two Toddler environments. For example, during lunch time the children share responsibility for setting the table and for cleaning up after eating. They are provided with placemats which outline the placement of a plate or bowl, a cup and the utensils. Each Toddler classroom is also stocked with child sized brooms, mops, dustpans and spray bottles to make the cleaning ritual fun. 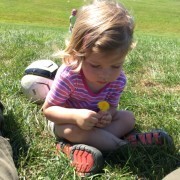 A big part of being a Toddler involves learning to care for oneself. We place a lot of emphasis on independence, assisting the children in learning to dress themselves, wipe their own noses, wash their hands and faces, use the toilet and to keep track of their personal belongings. This takes up quite a bit of time during the child’s day and it is definitely a very important part of our curriculum. Kendalwood’s classrooms are prepared with low shelves and a modest number of clearly displayed materials to create an attractive atmosphere where children will be enticed to choose materials and make decisions based on their own interests and strengths. The ability to make independent choices fosters confidence and independence. 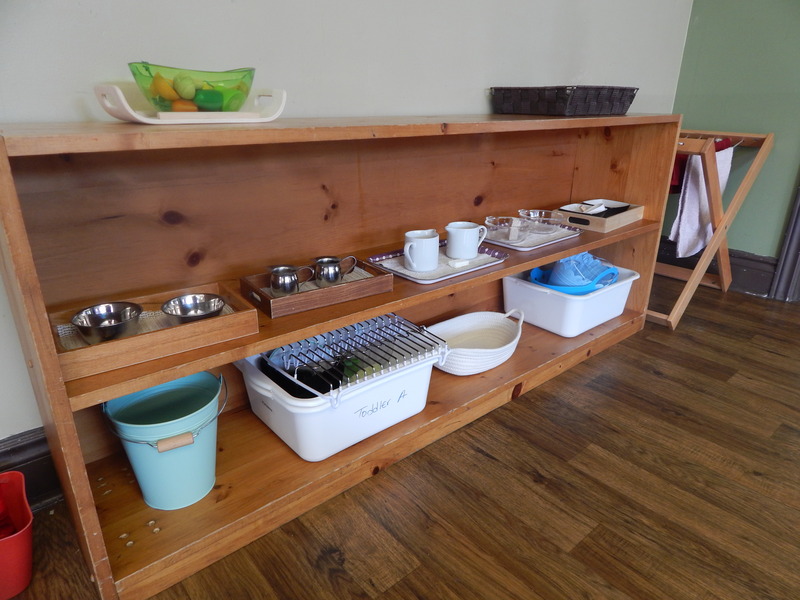 Everything in this specially prepared environment is designed to meet the specific needs of very young children in terms of the development of receptive and expressive language and communication skills, gross and fine motor skills, toileting and independence. The children have the freedom to make choices for themselves regarding their activity within this enriching environment. The children are free to learn at their own pace, processing information through their senses and their actions while developing a sense of trust and autonomy. This is an environment that supports the child’s need for exploration and large motor activities; a place that fosters their internal sense of order as well as their growing linguistic skills. This is also an environment that nurtures the beginnings of social interaction through parallel play with an emphasis on mutual respect. Maria Montessori’s methodology has been widely used by her followers since she opened the first Casa dei Bambini over a century ago. Her innovative approach to education was never trademarked, a conscious decision made by Montessori before her passing. Over time, many of those who followed her philosophies adapted and modified Montessori’s methods. As a result, the approach found in Montessori ‘inspired’ schools can vary greatly. In Ontario, the Ministry of Education does not oversee or ensure the quality of education in private schools. As the term Montessori is in the public domain, any organization is free to declare themselves a “Montessori School”, regardless of their regard for genuine Montessori philosophy. The well respected Montessori name, together with the lack of regulation for its use, presents a challenge for parents seeking the best education for their child. Choosing a private school requires careful consideration. How can parents’ best assess and weigh the options? As a Montessori parent, or as a parent considering Montessori for your child, you may be familiar with the Canadian Council of Montessori Administrators (CCMA). This organization promotes standards of excellence in Montessori education through accreditation. By achieving CCMA accreditation, authentic Montessori schools are able to identify themselves and demonstrate their commitment to the original Montessori principles and the strict standards set by CCMA. 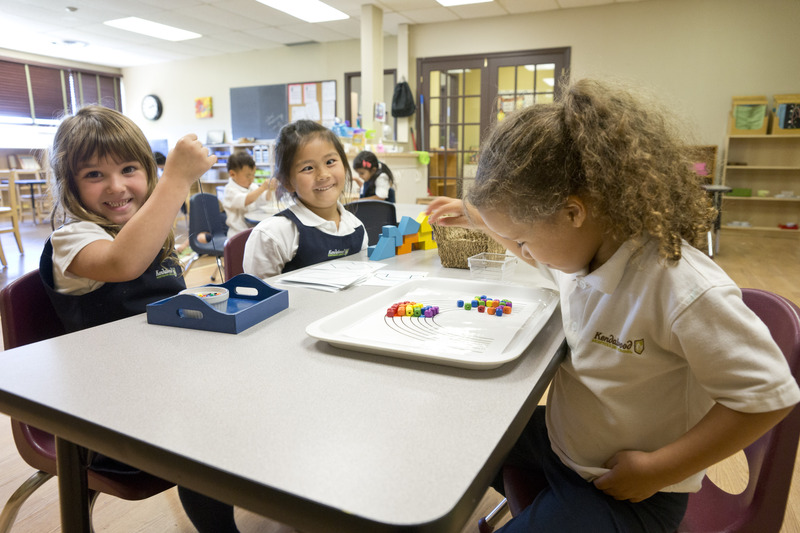 Accreditation reflects our deep commitment to authentic Montessori education. Accreditation attracts the best Montessori teachers – those who have received Montessori Teacher training from a MACTE (Montessori Accreditation Council for Teacher Education) certified institution and who want to practice their craft in a school of the highest standards. Accreditation supports ideal learning environments and outcomes for students. We encourage parents considering a Montessori education for their child to ensure the selection process includes accreditation. Ask the right questions to gain insight into this key criterion. It’s the only existing safeguard parents have to secure a true Montessori provider. We will teach you according to the Montessori ideals created and developed by Maria Montessori. We will be your aid to life. We will help to ignite the fire for a lifelong love of learning. Discover the Kendalwood difference. Book your personal tour or check our school calendar for our next open house. 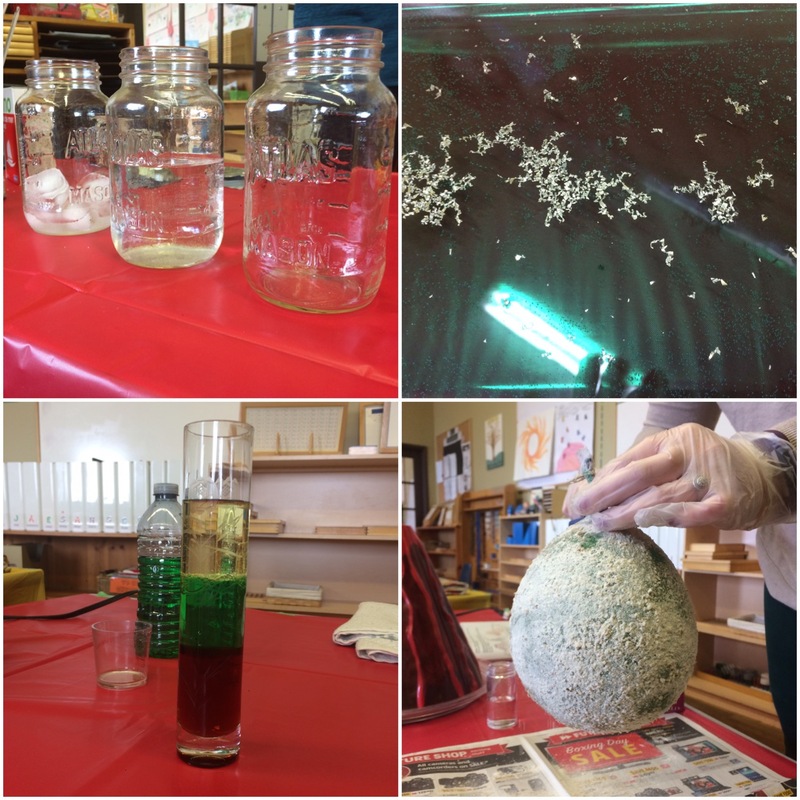 Students and staff members were busier than ever during Montessori Week as they put final touches on a series of special events planned for the week long observance and celebration of Montessori Education Week. Kendalwood Montessori will be joining more than 5000 Montessori schools around the world participating in Montessori Education Week. A special highlight and treat for the Casa age students, is the opportunity to listen and experience one of the Great Lessons, presented by Mrs. Lohasz, the Lower Elementary Directress. The Five Great Lessons is a group of impressionistic stories that are meant to provide Montessori students with a “big picture” of the world and life. These lessons are bold, exciting and are designed to awaken a child’s imagination and curiosity. The students in Lower Elementary are presented the Five Great Lessons every year so that children see them more than one time, unlike in the Casa environment, where the child is traditionally introduced first to “small” ideas that gradually widen into larger concepts. This rare opportunity will leave Kendalwood’s 3-6 years old struck with the wonder of creation, thrilled with new ideas and awed by the inventiveness and innovation that is part of the human spirit. As part of our continued commitment to enhance the educational experience of your child(ren), Kendalwood has undergone extensive renovations to enhance our property. In July 2016, Kendalwood acquired additional property which was previously used by Live Act Dinner Theatre. The additional 3700 square feet, has provided a unique opportunity to create a gymnasium, a dedicated music room and a larger French classroom. When students returned from the Winter Break, they were excited to see Kendalwood’s brand-new gymnasium. 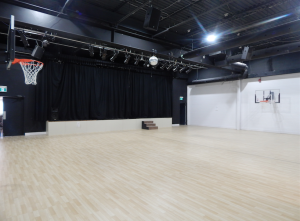 Equipped with basketball nets, new flooring and freshly painted walls, this space brings new programming opportunities to students who participate in physical education. The original stage from Live Act Dinner Theatre, was also preserved for students to use for future choir performances and French plays. Kendalwood’s resident Music teacher, Mr. Linderman moved into a state-of-the-art room, which is fully stocked with musical instruments (including a piano) and a twelve foot chalkboard staff to record notes and music on. 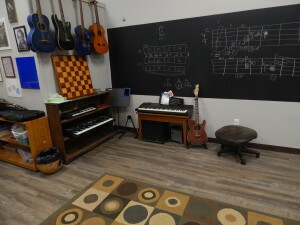 Mr. Linderman continues to offer before and afterschool music lessons, and he continues to direct the Junior and Inspire Choir in his new space. Madame Borges’ new classroom offers students more room to learn from the AIM French Programme. With direct access to the stage and gymnasium, students can practice their play to prepare for the annual French Night. Her interactive lessons are enjoyed by all ages and the additional classroom space, allows students to become fully immersed in the body movements associated with AIM’s approach to learning a second language. The newly acquired space has allowed Kendalwood Montessori to open an additional Casa classroom, in the old Music room. This classroom is currently capped with one teacher, to provide a small ratio for newly graduated students of our PreCasa classes. Casa C works closely with our other two Casa classes, to ensure the students are receiving a consistent education. The faculty, owners, parents and students are thrilled with all of the renovations. The entire building has been taken over by Kendalwood! A separate hallway has been added to connect the previously built classrooms from 2015 and the original portion of the school to the new areas. When you come to tour the improved facility, please follow the posted signs to help you get around or ask any one of our smiling staff to show you around! It’s the time of year when our Casa students begin the exciting transition into the Kendalwood Elementary Program. In line with the Montessori Method, the new classroom is introduced to our up-and-coming Elementary students in a well-planned and orderly way. Keeping in mind that children at this age have a very familiar and secure school setting where they have grown over the previous three years with a consistent environment and educator, it is important to provide an early introduction and a slow transition period. The transition from Casa to Elementary is a big change! Our Casa students moving up to Elementary begin to visit their new environment every June in anticipation of full immersion in September. The Casa child is moving from an environment where they are the eldest and well versed in acting as a role model, into a classroom environment where they are now the youngest and least experienced. This can be a big adjustment and a slow transition ensures students are eased into the Elementary program at a pace that respects their developmental stage. Children have the opportunity to begin new or develop deeper relationships with current elementary students who will be their peers and role models in the upcoming year. Similarly, children can begin to form bonds of trust with their new teachers. The transition phase provides practical insight into how the Elementary classroom differs from their Casa experience, specifically how their development will shift from home based learning to broader world based learning. Casa students discover the classroom schedule and routines, minimizing any potential for fear or anxiety due to a sense of the unknown. Early introduction to the Elementary classroom enables students to observe what their work and materials will look like in September. Teachers use the transition period as an opportunity to begin learning more about their new students, gaining insight as to their individual needs and current academic level. As a result, productive learning can begin right at the beginning of the new school year in September. The slow transition for 6 -7 year old students into this critical next phase of their education is a wonderful advantage of Montessori education. A carefully planned transition from Montessori Casa to Elementary sets students up for individual success during a period of significant change. 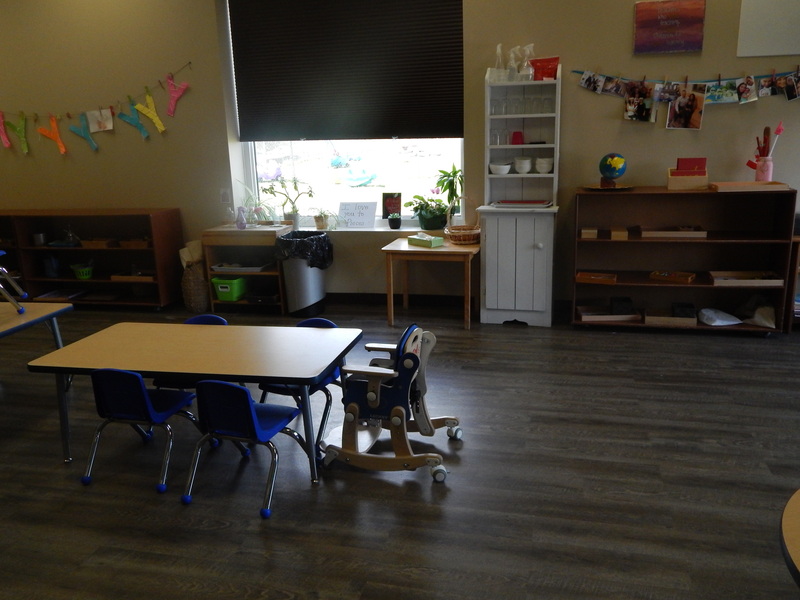 The gentle classroom changeover, a chance to develop critical relationships and a long term view individual needs makes Montessori a great choice for the Elementary years! Summer Camp Adventures in Whitby! It may not feel like camp season is around the corner, but summer sunshine is on the way! Once again, Kendalwood Montessori in Whitby will be offering weekly summer camp adventures for children of all ages in 2016. 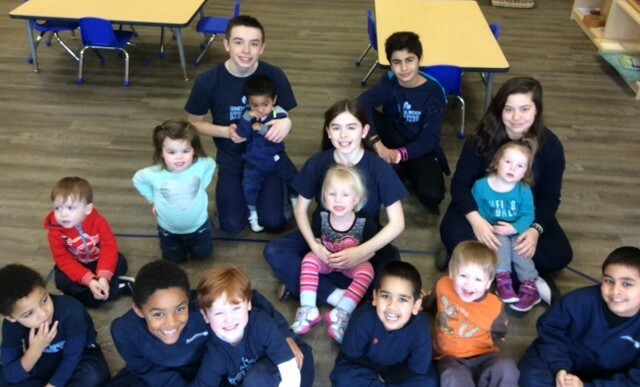 With the addition of our Infant Program last fall, campers can now join us starting at the age of 12 months! Our Elementary and Montessori Renaissance summer program has plenty to offer the older set for those up to the age of 14 years. Plenty of friendly faces from the academic year will be on hand during the summer months. Campers will also enjoy alumni Kendalwood Staff and special guests throughout the camp season. Any parents looking for a summer camp for younger children can rest assured that their little ones are in very capable hands as Kendalwood Montessori is licensed under the Child Care & Early Years Act for our Infant, Toddler and PreCasa programs. Our summer camp team is made up of accredited teachers and qualified counselors. Mad Scientist Mondays Discovery and experiment is the focus of our Monday program, where campers will enjoy hands-on learning in a variety of science topics. Tasty Tuesdays The kids will be cooking up all kinds of culinary treats every Tuesday as they hone their food preparation skills – and taste the results! Wet & Wild Wednesdays It wouldn’t be summer without lots of water play. Each Wednesday campers will enjoy water in one way or another. Thematic Thursdays A new theme each week to guide daily games, crafts and more. Who knows what will happen on Thursdays! Fieldtrip Fridays Adventure awaits each Friday as campers journey to a new destination or host a special guest at Camp Kendalwood. Camp hours: 9:00am – 4:00pm. Extended care available from 7:00 – 9:00am & 4:00 – 5:30pm. 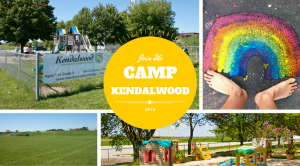 We are less than 3 kilometers away from Hwy 401 and the Whitby Go train station, which makes Camp Kendalwood a convenient option for parents who need to get to work during camp season. Our beautiful school surroundings and large outdoor play areas allow us to offer plenty of time outdoors including daily sports & activities. On rainy or extremely hot days, our expansive campus offers shelter with many options for camp activities to move indoors. The summer season offers a wonderful opportunity to explore what Montessori education has to offer your child. Families from Ajax, Whitby and Oshawa are welcomed to join in our summer camp program for a taste of life at Kendalwood. Siblings, former students and new students and summer visitors often join us for the summer. Drop in to our Open House on May 18th between 4:30 – 8:00 pm to tour the campus and learn more about our summer camp program or please contact us directly. We would be happy to provide you and your child with a personal tour and answer your questions! Over the last few years, Kendalwood Montessori has gone through tremendous growth and development, both as a school and as an extended family. We are very proud of what we have accomplished together! Our daily efforts to provide an authentic Montessori education to our students inspire us as teachers and as parents. Over the last year, our guiding purpose has been further fuelled with the energy of our campus expansion, the addition of new students and families and increasing awareness of our school in Whitby and greater Durham Region. It has been an amazing time! As our school has grown over the last year, we have also experienced a baby boom within our school community. At this time, we have 14 staff children attending Kendalwood from Infant through Renaissance, and there are several new additions on the way! We just love that our Montessori community is enriched with numerous parent and child relationships. This growth and development extends to the career development of our faculty and staff. 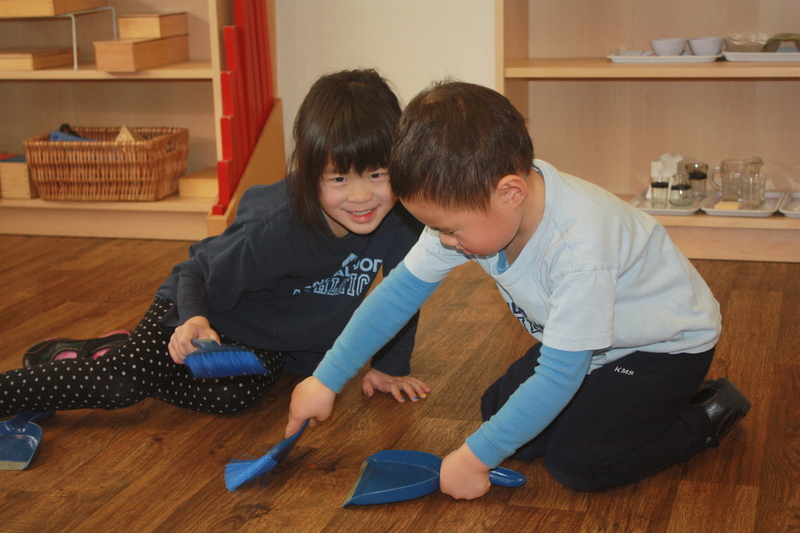 They are able to take on new opportunities and expand their Montessori practice through a wider range of experiences within the school as others take time off to be at home with their growing families. Continuity is important, so we always look for ways to ensure our students are able to expand their network of teachers who they trust and rely on in their growth and development. When new parents return to us following a Maternity leave, the Kendalwood community enjoys a happy reunion and often, a new friend joins our Infant program! New connections remain and familiar relationships are rekindled. Kendalwood is expecting some new students! 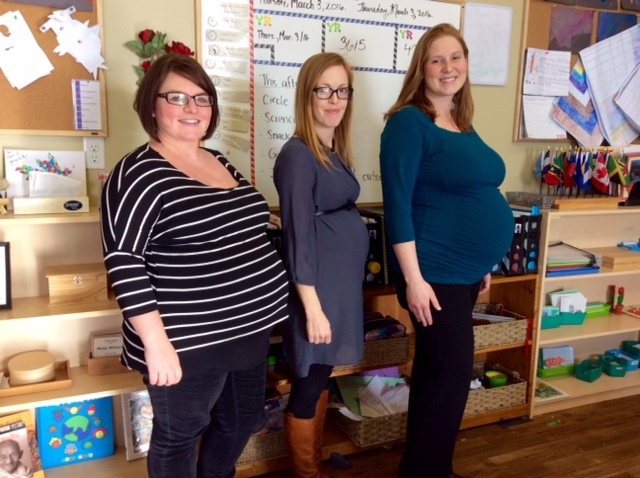 Janis Koenders, Principal – son in PreCasa and a new baby due this spring! Kate Scotland, Casa Directress – daughter in PreCasa and a new baby due this fall! Christine Lauzon, on Maternity Leave – daughter in Toddler and currently awaiting the arrival of her second child due this month! At Kendalwood, we think of ourselves as a Montessori Community and bringing our own children to school with us is a true testament to our philosophy. We have shared our thoughts on the importance of a strong sense of community in Montessori education many times because we feel a supportive community helps students develop confidence as they stretch themselves in new ways, knowing that their Kendalwood family is there to provide guidance both academically and emotionally. We are looking ahead with much enthusiasm to the joy of new babies and the further expansion to our school community, both as a family and as educators. Congratulations to everyone experiencing growth and development, in one form or another! Kendalwood Montessori in Whitby Expands School Campus! 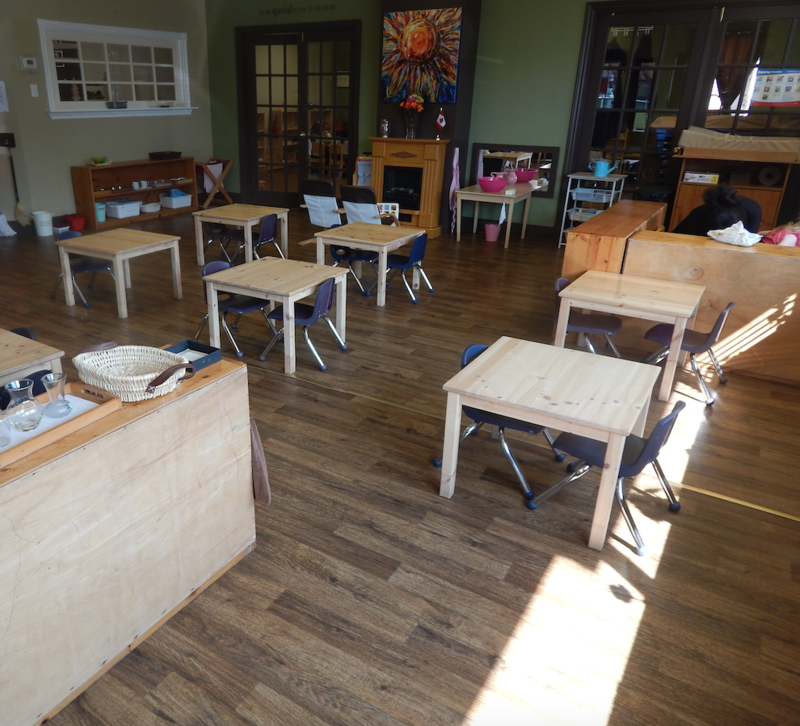 The learning environment is such an important aspect of a Montessori education. The classroom is prepared with great care to facilitate independent learning and discovery in a beautiful and peaceful setting. Kendalwood has always taken great delight in providing an extraordinary environment on our campus, so we couldn’t be more pleased to share the details of our recent expansion with you! 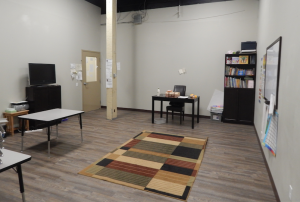 – New Infant Classroom (Children 12 – 18 months) Kendalwood also considers infants under 12 months of age who are determined to be developmentally ready for the program. We are thrilled to expand our campus to accommodate our growing Montessori community in Whitby! With the recent introduction of the Child Care Early Years Act, our renovations have enabled Kendalwood to welcome more families looking for quality licensed care in Durham Region. And it’s only the beginning – this is phase one of a four year expansion program that will see us take over the entire building! With our convenient location and expanded campus, combined with our status as Durham Region’s first fully CCMA accredited Montessori school, we are proud to offer the best in quality Montessori education to Whitby families. View the gallery below for a peek at our new classrooms! Would you recognize a Montessori student amongst a group of school aged children? At work or play, students brought up through the Montessori Method tend to exhibit a number of definitive traits, making them easy to spot. These skills and behaviours are quickly recognizable by teachers in a classroom environment. We recently spoke with a number of Elementary School teachers and asked them if they can tell when a former Montessori student joins their classroom. Here’s what they had to say! Montessori students take great pride in caring for their classroom environment. Time Management Skills – Montessori students are observed as being consistently able to manage due dates, meet timelines and manage their work time in class efficiently. 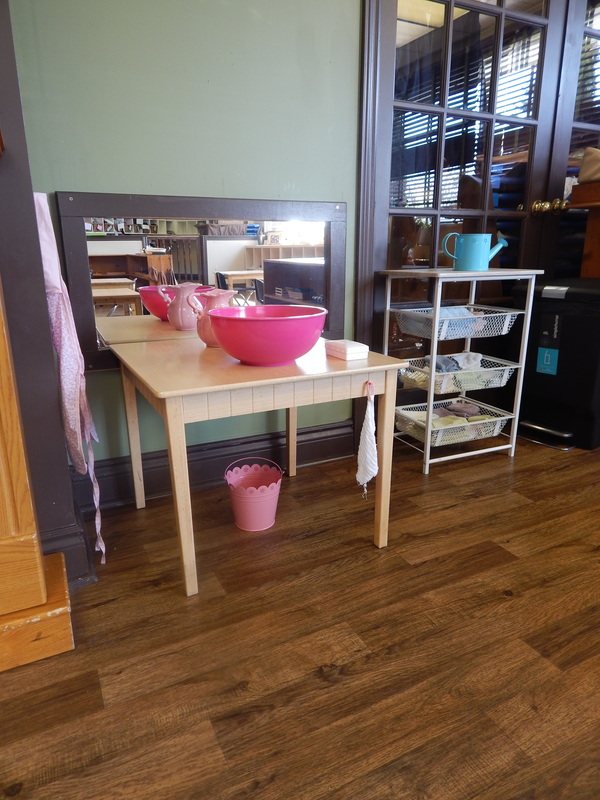 Order & Organization – Children coming from a Montessori background have a noticeable respect for their environment: their belongings, the belongings of their classmates, as well as the classroom in general. They demonstrate a strong sense of order, willingly returning items to their proper place without prompting or reminders from the teacher. Problem Solving Skills – Montessori students tend to be tremendously resourceful. They seek solutions on their own as a first step, and if they are unable to solve a problem independently they have the confidence and desire to ask a teacher for help. These students feel it is important to find a solution and seldom give up or concede unless they have exhausted all resources. Life Skills – The whole child approach of Montessori education is evident in the self-advocacy and self-regulation observed in students. These children are well equipped to to resolve conflicts with their classmates, as they are able to verbalize their needs and use expressive language to aid understanding. They also know when they need to escalate and ask for help from an adult or teacher. An early start in a Montessori environment provides students with long- lasting benefits that help them along their educational path, and eventually in their lives and careers as adults. While not all students are able to remain in a Montessori classroom for the duration of their Casa and/or Elementary education, parents choosing Montessori for the early years should feel confident that the skills and traits gained during this influential time period will remain with their child for many years to come.